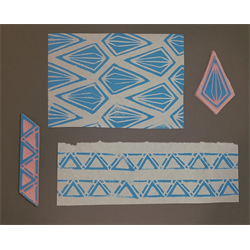 Block printing is an extremely versatile medium that allows for all kinds of experimentation and applications on fibrous materials like pulp or cotton! This class aims to teach and build off the basics by showing how you too can use linocut techniques and tools to create your own unique designs for fabrics! 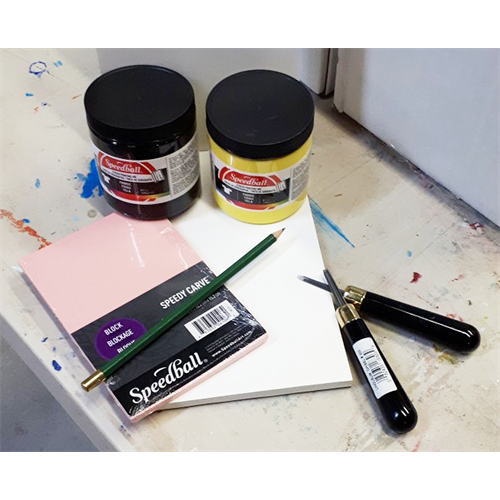 With Artists Emporium’s very own Lindsay Shore instructing, you will have the opportunity to create your own custom design or bring your own photocopied/pre-planned image to arrange and transfer to a 4” x 6” surface. Get hands on with how best to plan, process, carve, and print your image to a fabric surface. Leave with the knowledge of how to successfully create your own prints on fabrics which have endless applications in personalizing clothing, bags, gifts, and much more!